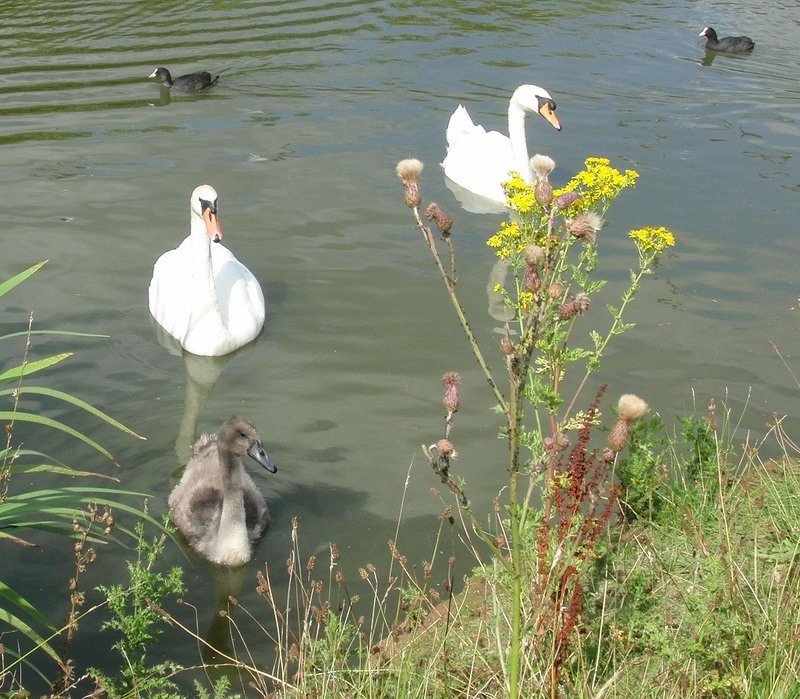 Here are some photos from the pond at Brookfield Park, Littlehampton, UK. This location was the site of the Glasshouse Crops Research Institute until 1995, when the land was cleared for housing and the aforementioned park. 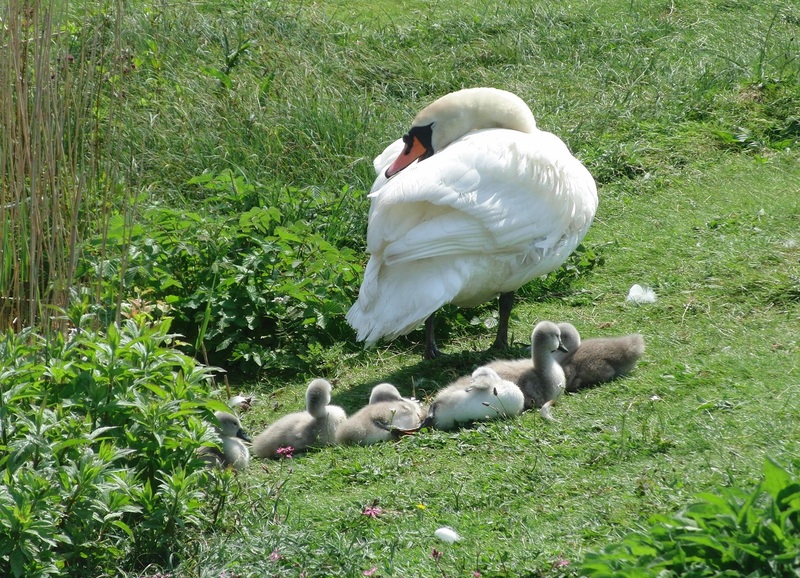 Mute Swan (Cygnus olor) with cygnets (2012). 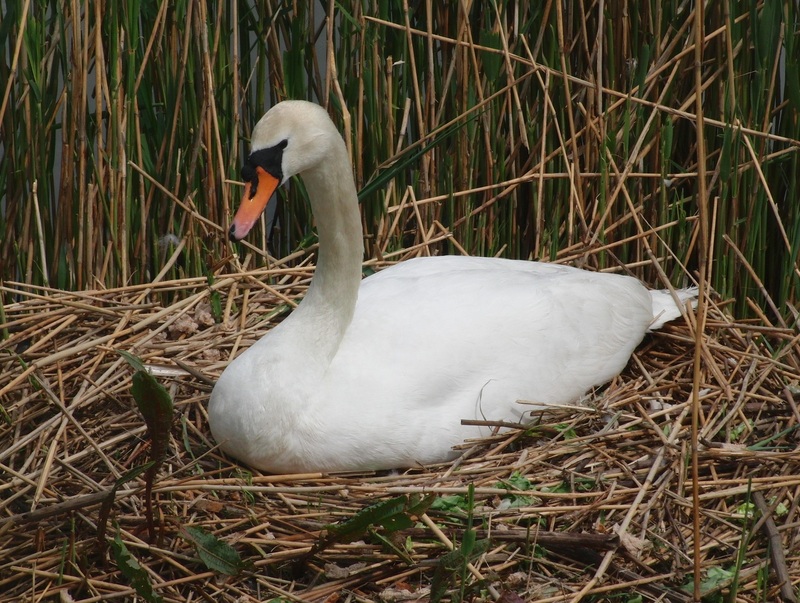 Mute swan on nest (May 2016). Two months later, with offspring. 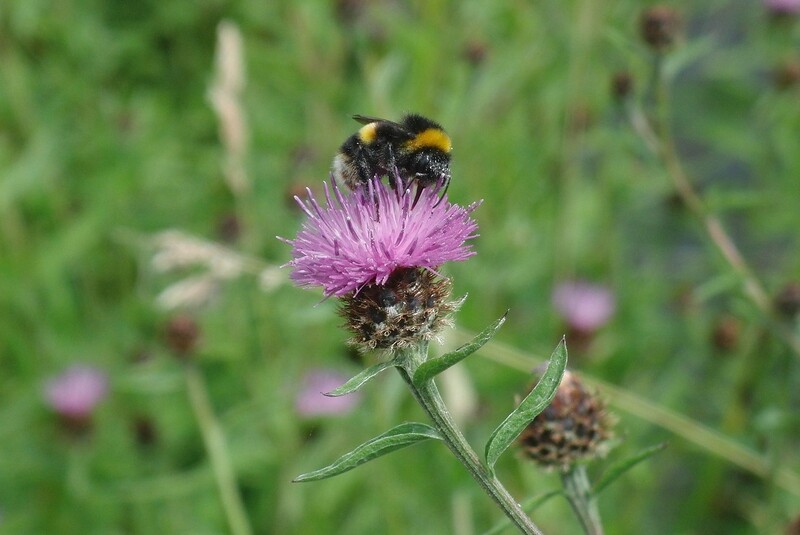 Buff-tailed Bumblebee (Bombus terrestris) foraging on Common Knapweed (Centaurea nigra). This entry was written by whyevolutionistrue and posted on December 8, 2018 at 7:30 am and filed under birds, insects, photography. Bookmark the permalink. Follow any comments here with the RSS feed for this post. Both comments and trackbacks are currently closed. 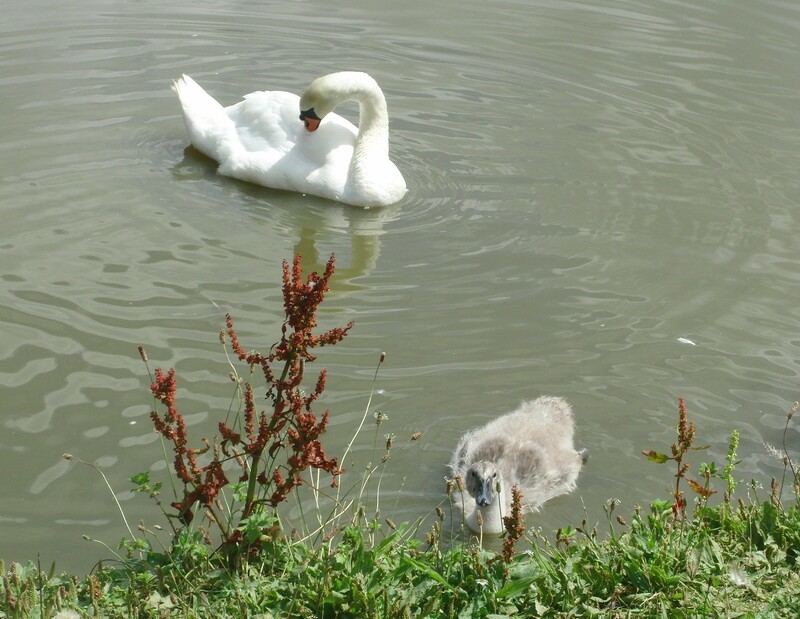 The swan’s beautiful, but those are some ugly ducklings. Love those swans. Very nice photos. Very nice photos. Is it true, as I’ve heard, that the Queen owns those swans? Swans are elegant and athletic. They can invert like a dabbling duck and reach far to the bottom for food. Thanks for the pics.